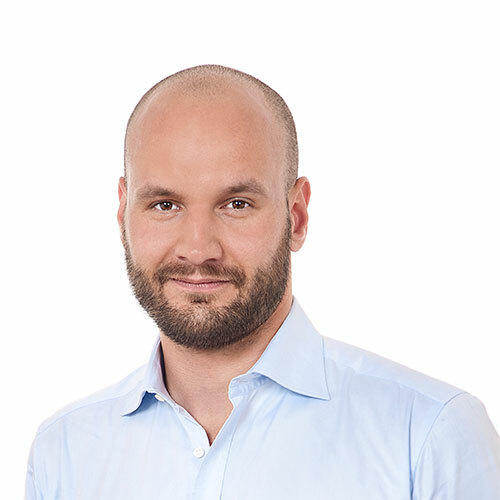 Christian joined e.ventures in their Hamburg office as a Vice President in 2015 and is now Principal in the Berlin office. Before joining e.ventures, Christian was leading the international expansion and business development of Kreditech.com as part of the holdings’s core management team. Prior to that, Christian exited mobile marketplace Todaytickets.de, which he founded alongside German media conglomerate ProsiebenSat.1 AG. Before founding his own company, Christian served Rocket Internet AG as a Global Venture Development Director during the global rollouts of Westwing.de and Payleven.de. In his early days of his career, he was involved in the setup of a Venture Capital fund for Bertelsmann AG in India and was engaged in the group’s Corporate Development team. Christian holds a B.A. in International Business from Cologne Business School, is Member of the Board of Executives of the German Startup Association, is an international speaker on platforms such a LeWeb or Global Entrepreneurship Congress and is frequently being quoted as an expert for entrepreneurship by international media such as Wallstreet Journal, Bloomberg, and Thomson Reuters.